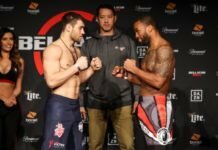 With Bellator 218 going down in Thackerville on Friday, two fighters missed weight at the scales on Thursday, resulting in one fight being scratched. Bellator MMA is back in Thackerville, OK for this Friday’s Bellator 218, featuring a main event showdown between Emmanuel Sanchez and the returning Georgi Karakhanyan. It’s the third stint in Bellator for Karakhanyan, while Sanchez will be looking to bounce back from a title fight loss against Patricio Pitbull last year. The pair first fought at Bellator 170 in 2017, where Sanchez took home a majority victory. 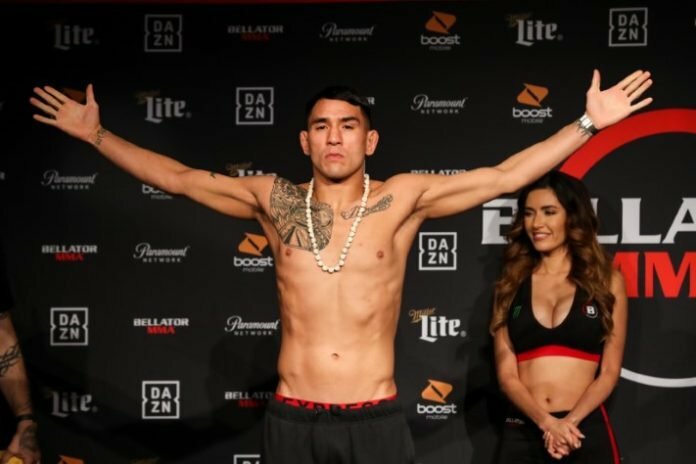 Weigh-ins for the event went down Thursday, with at least one fighter, Roman Huerta, badly missing weight. That left the debut Christian Edwards, a training partner of Jon Jones, without a fight, and pretty peeved on top.